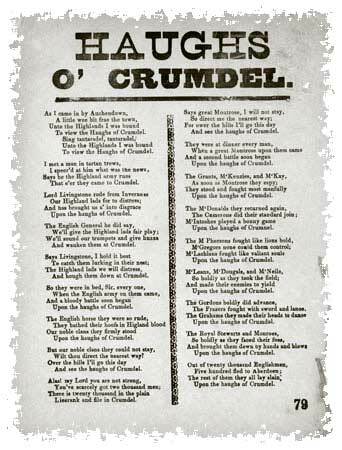 The Battle of Cromdale took place at the Haugh of Cromdale in Speyside on April 30 and May 1, 1690. Despite being a relatively minor encounter, this battle marked the effective end of the Jacobite rising. On Buchan’s arrival, a meeting of the chiefs and principal officers was held at Keppoch to formulate a plan of action. While some of the clans proposed to submit to the government, this proposition was resisted by Sir Ewen. The meeting unanimously resolved to continue the war, but not until the labors of the spring season were complete in the Highlands. The large scaled muster of the clans was postponed. In the mean time a detachment of 1,200 infantrymen was to be placed at Buchan's disposal, to weaken the enemy’s quarters along the borders of the Lowlands. He was met at Cromdale by a larger government force under Sir Thomas Livingston, commander of the garrison of Inverness. As Livingston approached with his men, on the opposite bank of the Spey, the Jacobite forces started to retreat. Livingston's cavalry crossed the river and intercepted the Jacobites, who made a brief stand at the foot of the hill of Cromdale. Fortunately for the outnumbered Jacobites, a thick fog came down the side of the mountain and enveloped them, compelling Livingston to discontinue the pursuit. 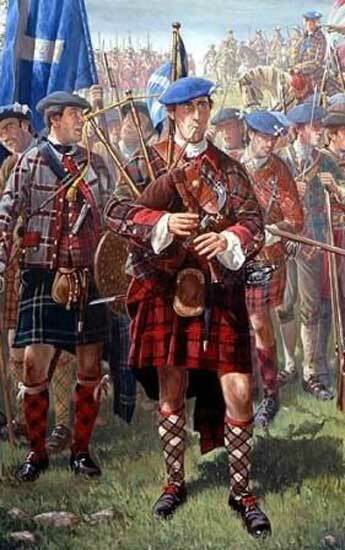 According to reports, the Highlanders had 400 men killed and taken prisoners. Livingston's losses were reported as between none and 100 killed.